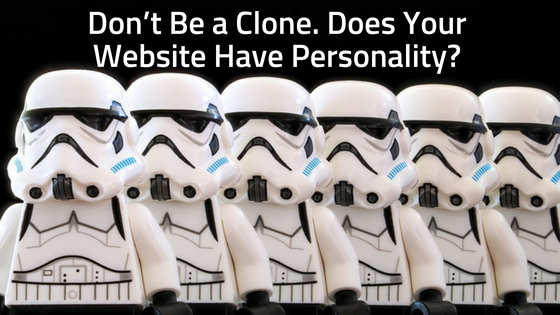 Is Your Website Being Seen? 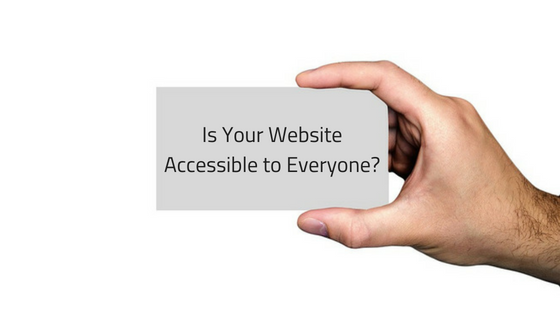 - Is Your Website Being Heard? 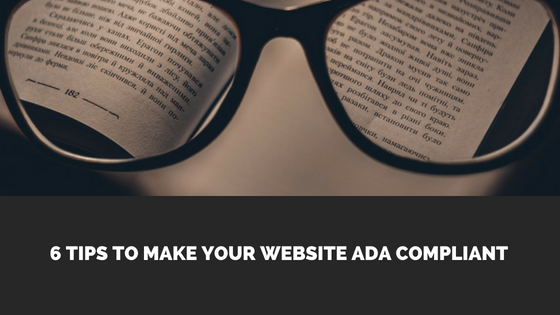 There could be potential customers who are not able to use your website; If your website is not ADA (Americans Disability Act) compliant to accommodate a person with things such as a visual or hearing impairment, you could be missing out on revenue. No one wants that! Adjustments for users who are visually impaired can easily be corrected if your webmaster is familiar with this type of coding. A user who is color blind could be missing out on information in an infographic if the colors used are not considered. About 1 in 12 men have red-green color blindness. 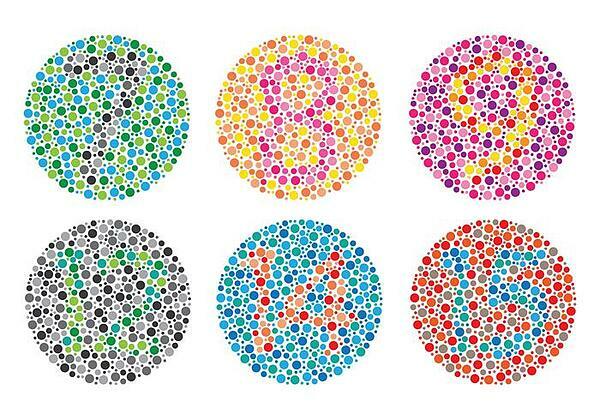 While only 1 in 200 women have color blindness, 1 in 6 women carry the gene for red-green color blindness. Red-green is the most popular class of color blindness. If your website was not ADA compliant and you have color blindness you would have difficulty seeing the images below depending on the type of color blindness you have. There is a short simple test you can take to see if you have any level of color blindness. Another way to be visually thoughtful is to offer a wide range of zoom-ability. Vision is a luxury some people take for granted. Over time some people lose the quality of their vision due to age, genetics, medication and so forth. For a user to not be able to read your website because the words are too small or the contrast isn’t high enough is not setting yourself up for success. True, they could grab their glasses, but isn’t the goal of the end user experience supposed to be accomodating? By making adjustments to your website you could be helping users who are either researching your product or service with the potential to buy from you. Naturally this is something you don’t want to miss out on. Accommodations for the hearing impaired user is just as important! What do I mean by this? If you display videos on your site, you will need to ensure that the videos are transcribed so that the information in the video is accessible to those with a hearing disability. Everyone is aware of how powerful videos, podcasts, vlogs and webinars can be, right? Displaying these valuable forms of communication on your website is something you don’t want to miss out on. Be sure to offer text transcripts, closed captions, or visual signers when displaying this communication and your potential client that is hearing impaired will thank you for it. Think of it as that extra form of customer service that you would want to provide to everyone that encounters your brand. 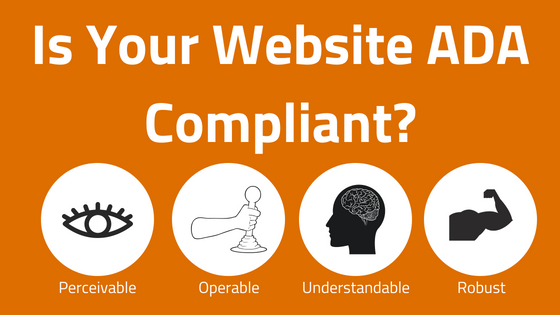 Find out if your website is ADA compliant by clicking here. 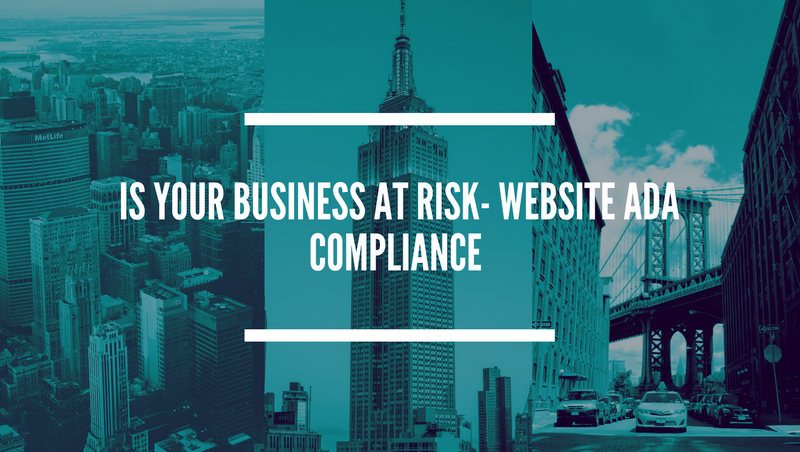 This is a free tool that will tell you if your site is compliant and if anything needs to be addressed. If your site is not ADA compliant you will want to either: A.) have your webmaster update the code or if your webmaster is unsure of how to do this, you should B.) find a web developer that has this experience. Before you decide on an outsourced webmaster verify they understand the coding. Simply check their website for ADA compliance. That way you know they know what they are doing. If you find yourself needing to complete this process, download this easy to use checklist. This checklist guides you through the process of ADA compliance which will help you reduce your company’s risk from facing ADA lawsuits.